You are in the right place to learn how to make your life, business and style even more amazing this week! 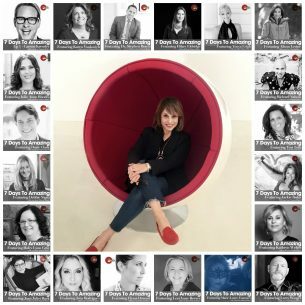 The style and success podcast for women entrepreneurs. 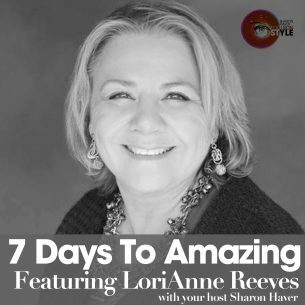 Each episode of 7 Days to Amazing Podcast is a conversation with noted thought leaders, celebrities, motivational mavens, fun fashionistas, marketing masters, and career catalysts who share tips and strategies on how to live your most amazing best life. Interviews are very actionable and designed to not be overwhelming but provide a game plan to kickstart how you show up in the world. 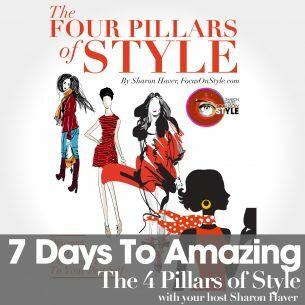 Join style + success expert, fashion stylist and bootstrapping entrepreneur Sharon Haver of FocusOnStyle.com as she interviews thought leaders, celebrities, motivational mavens, fun fashionistas, marketing masters, and career catalysts on how to live your most amazing best life podcast. Along with solo episodes, popular guests include Joan Juliet Buck, Carson Kressley, Larry Winget, Dorie Clark, Alison Levine, Tonya Leigh and more. 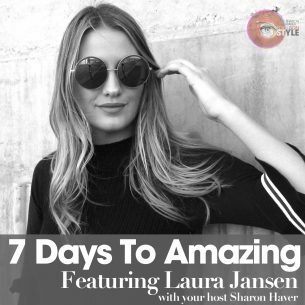 Ep 0- Introducing: The 7 Days To Amazing Podcast, Up Your Style + Success This Week! Listen + Subscribe on iTunes! 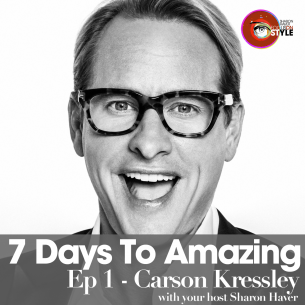 We talk with Carson Kressley about his new book, and tips you can use to level up your style instantly! Sharon sits down with Jackie Ruka, America’s “Happiologist”, and learns about the inner workings of how we interpret happiness and the world. Dr. Bracci is changing the game on the “old school” methods of face rejuvenation with modern, safe and innovative techniques. Listen in and enjoy! Ep 4 – Kathryn Weber, Creator of Red Lotus Letter, gives Feng Shui Insights to a Better, More Successful Life. Sit down, tune in and get your Feng Shui mojo back with this fun, enlightening and informative interview. LoriAnne Reeves shows us how to re-relate to money and finances to live a better, more abundant life. 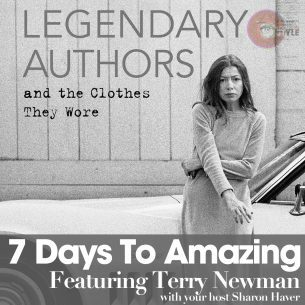 Elyssa Dimant, author of The New French Couture: Icons of Paris Fashion, is the 7 Days to Amazing podcast guest this week to share the dazzling history and journey of Paris fashion throughout the 20th century and today. 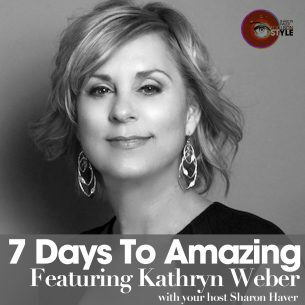 Sharon Haver takes the mic to help you find your style inspiration by way of discovering your personal muse to guide you on your journey. Richard Nahem gives us a cultural tour of what it’s really like to embrace Paris life in an authentic, adventurous and exciting way. 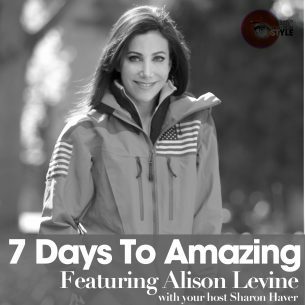 Alison Levine, Adventurer, Mountaineer & Author, joins the podcast to talk about her experiences climbing Mount Everest and how to apply the invaluable leadership lessons she as learned along the way. 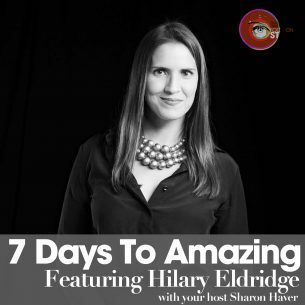 Hilary Eldridge – an accomplished Athlete, Fitness Expert, TV Personality, Public Relations Pro and Business Owner– talks about being true yourself in a way that empowers your life and the lives of those around you. 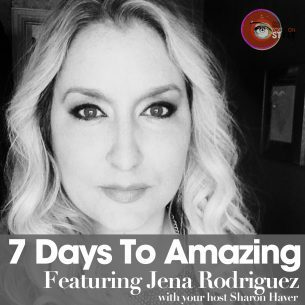 On this week’s episode of The 7 Days to Amazing Podcast, Jena Rodriguez demystifies the “buzz word” and gives us a rundown of what the term branding really means. Ep 12- Debbie Nigro: How to interview like a talk show host! 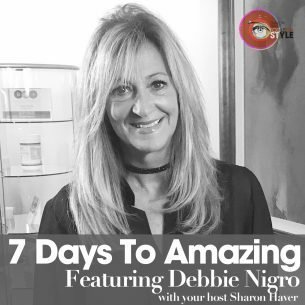 On this week’s episode of The 7 Days to Amazing Podcast, I asked my friend, the dynamic and funny radio talk show host Debbie Nigro to help anyone sound like a gem when being interviewed or interviewing. A lively conversation with Joan Juliet Buck, from Vogue Paris, to life advice to working from home to the most stylish pants discovered at a Turkish mall. If you’ve ever found yourself making excuses for achievements or shrugging off compliments given to you by your peers, get ready for a life-changing discussion about the Imposter Syndrome with Dr. Valerie Young. 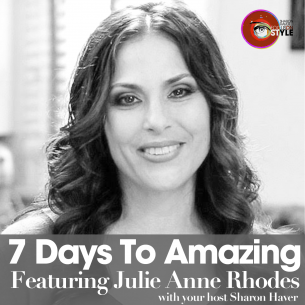 Celebrity Chef Julie Anne Rhodes talks about her life from supermodel, to pop star wife, to successful entrepreneur with all the razzle-dazzle and bumps in between. 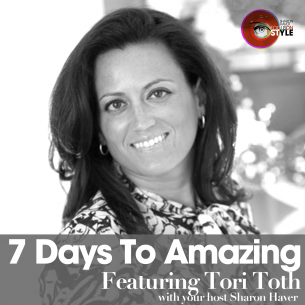 Whether you are putting your house on the market to command a higher price or creating an inviting home video set that’s so on brand that clients want to buy from you, this episode with home stager extraordinaire, Tori Toth, has got you covered. 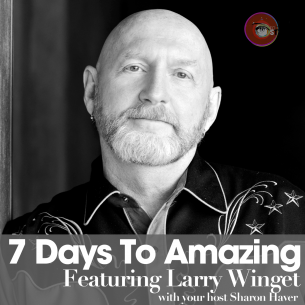 Larry Winget, the Pitbull of Personal Development®, bestselling author, television personality, social commentator and internationally acclaimed speaker joins the 7 Days to Amazing Podcast to talk about what’s wrong with damn near everything! 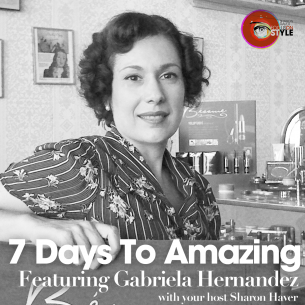 In this passionate episode of the 7 Days to Amazing podcast, Gabriela Hernandez, author of the magnificently illustrated book, Classic Beauty: The History of Makeup, and I talk about everything from fun facts about the history of makeup, makeup in marketing, and how you should present yourself for a timeless, relevant, and simply beautiful look. As a woman entrepreneur who runs an online business, I know that being an entrepreneur can prove to be a challenge every day. 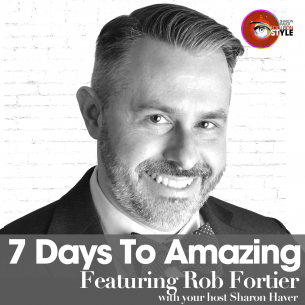 That’s why I brought business coach and speaker Rob Fortier on this week’s episode of the 7 Days to Amazing Podcast with Sharon Haver to help you find the magic in your business. This week’s podcast features a brilliant coach, entrepreneurial genius, speaker and creator of French Kiss Life, Tonya Leigh. Tonya joins me this week to talk about how you can uplevel you lifestyle, business, attitude and energy to create more fulfilling experiences in life: despite your age, career or your upbringing. 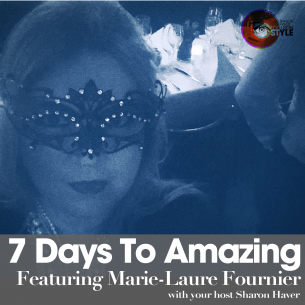 In this episode of the 7 Days to Amazing podcast, Marie-Laure Fournier, PR PRO & Founder of Fournier Communications, helps us bridge the gap between European glamour and American business savvy. Tune in and find out what it takes to really run a successful personality driven business that you’re passionate about with… some “better than natural” French chic beauty tips as well. 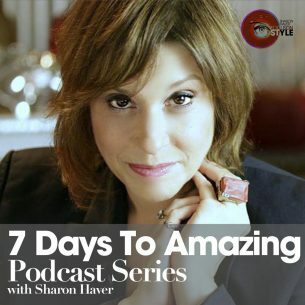 On this week’s episode of the 7 Days to Amazing Podcast with Sharon Haver, you will learn how to leverage your network, brand and ideas to become a recognized expert in your industry. 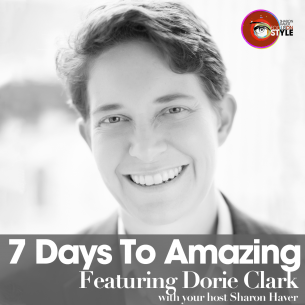 Dorie Clark, speaker, author, reinvention expert and personal branding + marketing strategist, joins us for this informative, highly productive episode! I don’t know about you but I think it’s pretty amazing having a large facebook community with over 60,000 members. 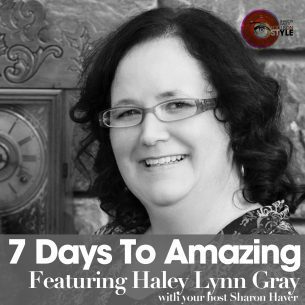 If any of you have every dreamed about being a leader in your community, you are going to want to listen to Leadership Girl in this week’s episode of the 7 Days to Amazing Podcast. Haley Lynn Gray, founder of the Women’s Entrepreneur Network joins us with insights on networking, success and the unique fingerprint that exists in every business. 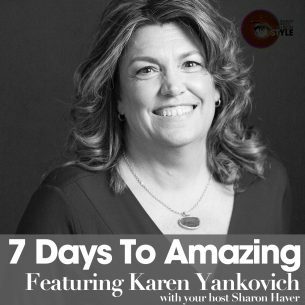 On this week’s episode of the 7 Days to Amazing Podcast, Karen Yankovich joins me to talk about LinkedIn strategy, social media best practices and how to build REAL relationships through positioning and influence on your social media platforms. If you think it’s time to rethink and revolutionize your social media strategy, this episode is for you! 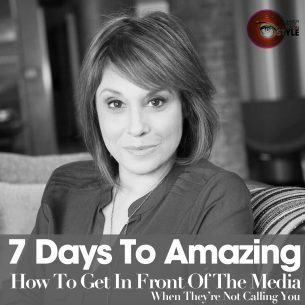 If you’re wondering how to create your own opportunities to get in front of the media, even if they are not calling you, then this episode of the 7 Days to Amazing podcast is for you! Sharon Haver shares her unique career story and how she has seen the media through a variety of vantage points. She also gives helpful tips on creating your own media to help you get noticed. Listen in and learn the three key ways to being media friendly. Age, does it define us? Should it shape the way we see the world? How much better would life be if we could only appreciate the knowledge that every generation can offer to each other? What if there was a way to start bridging the gap? 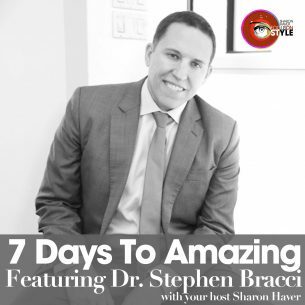 On this week’s episode of the 7 Days to Amazing Podcast, we help to bridge the gap between a millennial and a mid-lifer in a revolutionary campaign that will teach us that age is simply just a number and the attitude and the way you are looking at life is what truly matters in the end. 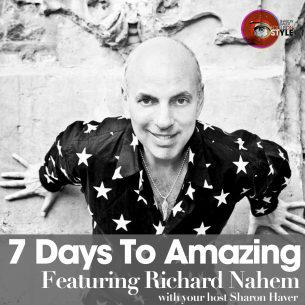 7 days to Amazing Podcast One Year Anniversary Episode: Role models to inspire you to live fully so you can get unstuck from what’s holding you back and be the best at being you! Living fully is excelling in every way. It’s not about piecing it together, obsessing about one tactic and ignoring the rest. It’s a full life, rich in everything that makes you amazing in your life, business, and style. There’s nothing more powerful than being seen in the right light in the media to gain authority and credibility. Which is why week’s episode is all about helping business owners get their names and stories out in front of the masses. 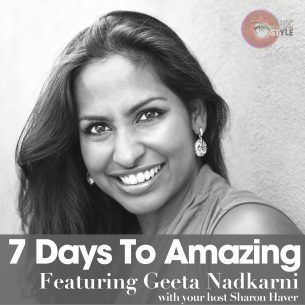 If you are wondering what is personal branding photography, how to get professional photos taken that represent you in your most honest and best self, then this episode of the 7 Days to Amazing podcast is for you! 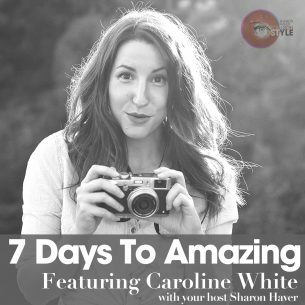 It’s time to tune in for honest personal branding photography tips with my guest, Caroline White. We share some fun conversations, plus you get amazing behind the scenes tips to looking fantastic in your next photo!